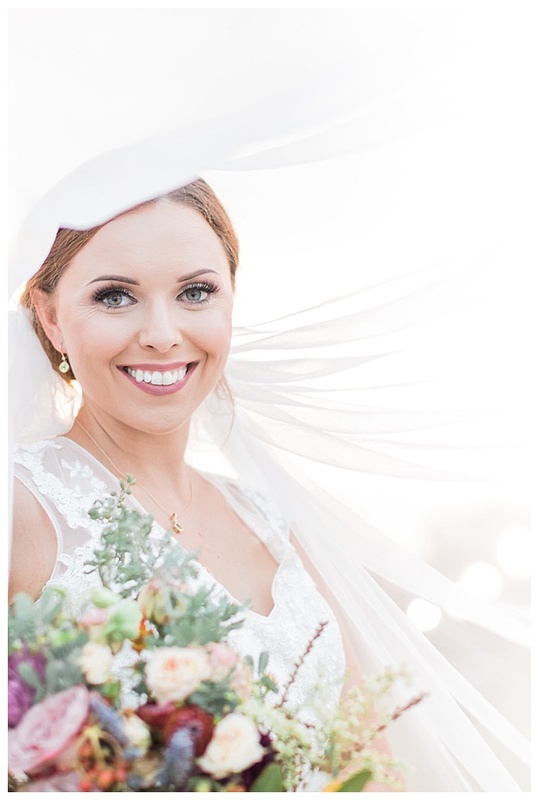 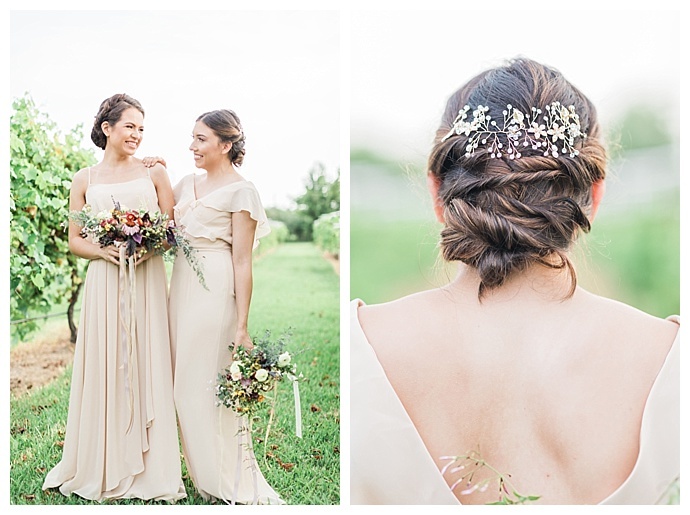 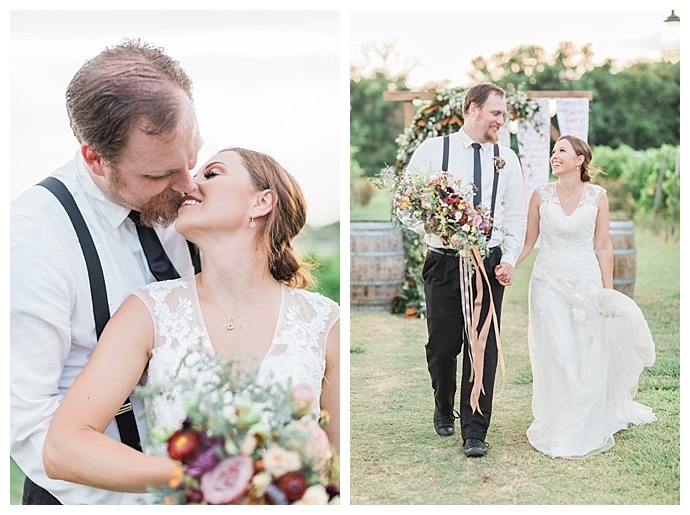 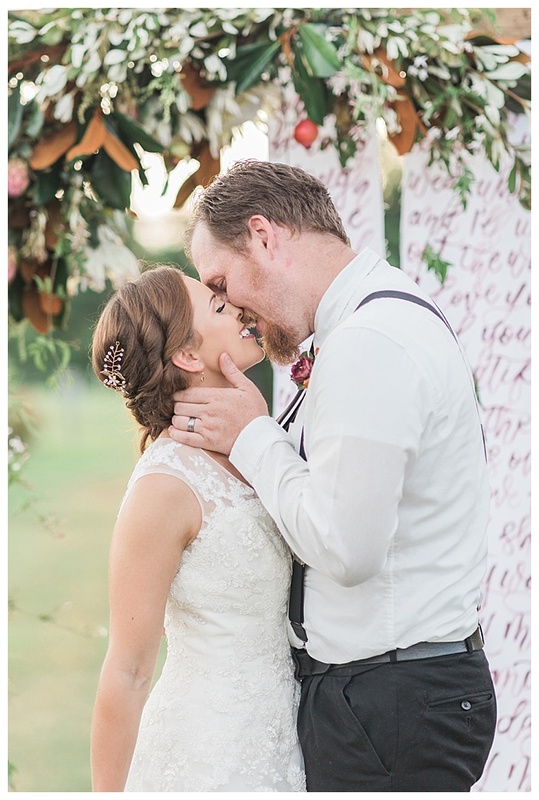 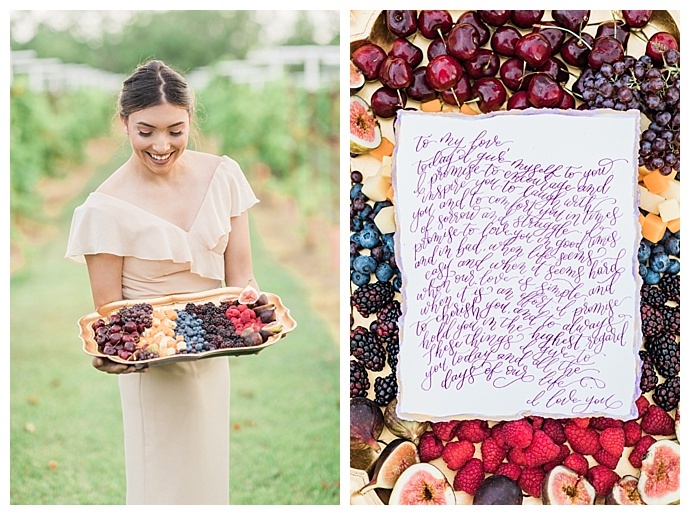 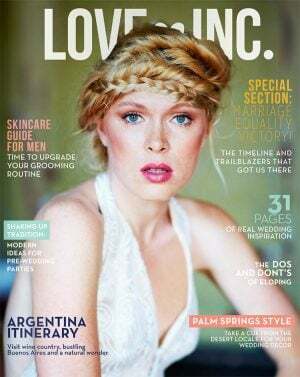 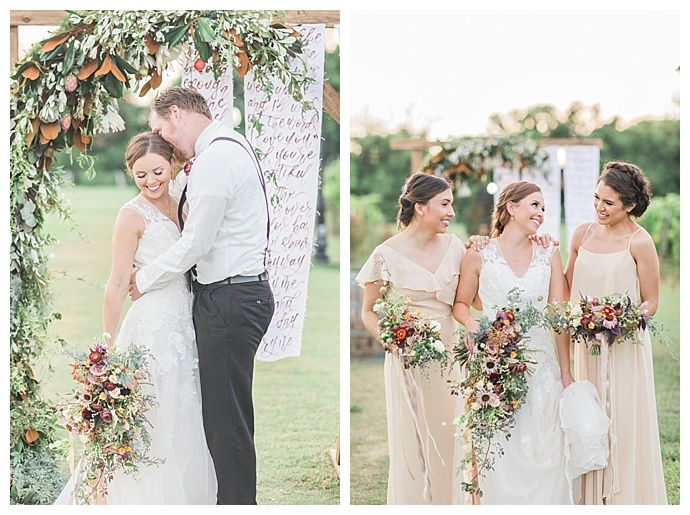 Tucked into the heart of Santa Fe, Texas, a picturesque vineyard with romantic rows of rolling vines played host to a rustic and modern wedding inspiration shoot with wine-inspired and hand-lettered details. 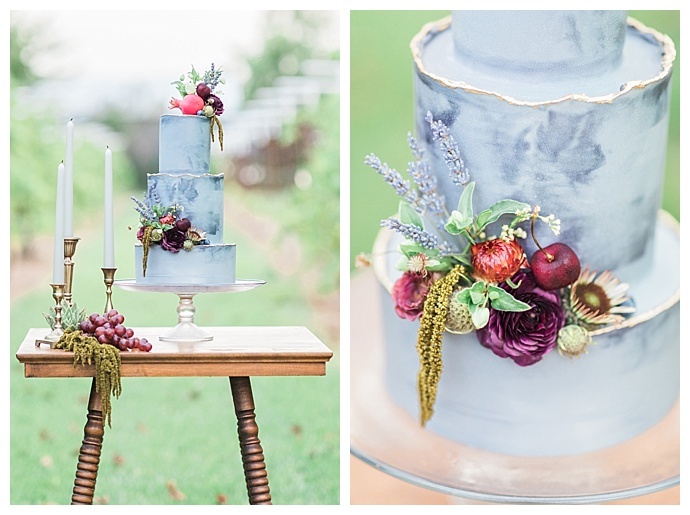 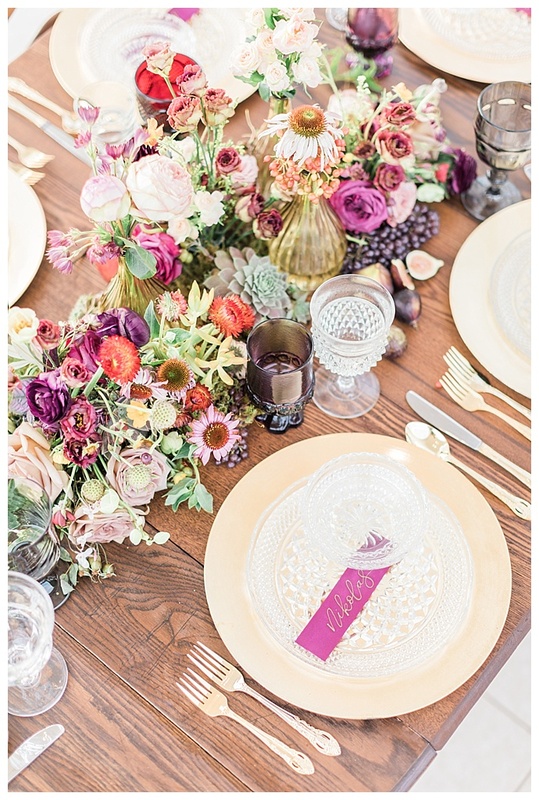 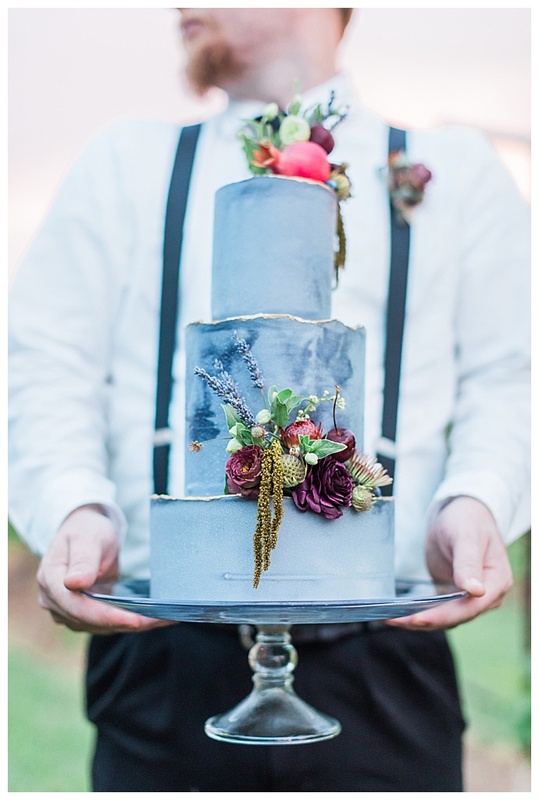 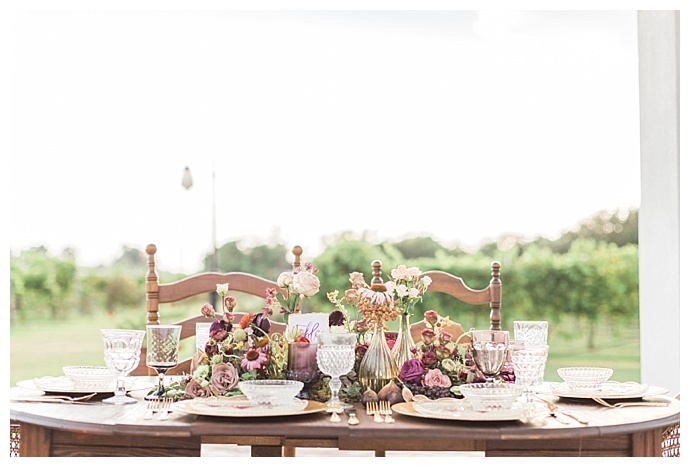 A suitable theme for the venue, the creative team was inspired by all things wine and infused a cheerful color palette with vibrant wine-colored berry tones into the floral design, decor and tablescape. 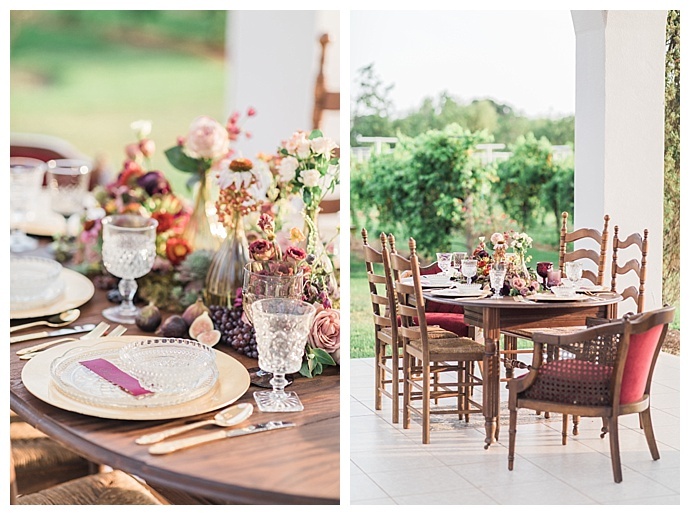 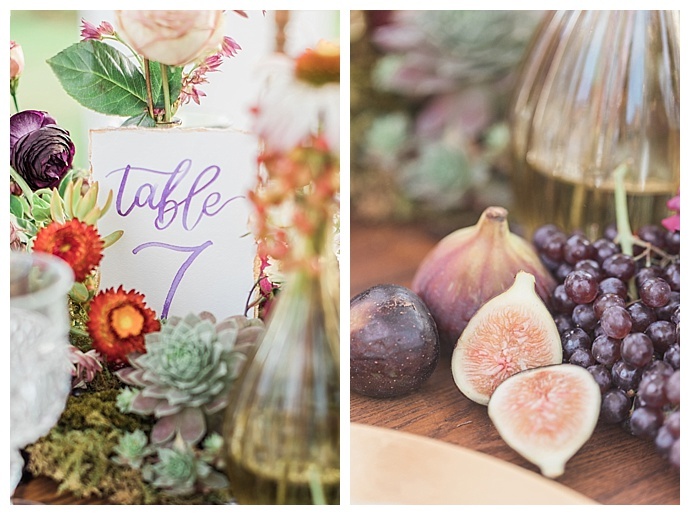 In the most romantic spot for a scenic, celebratory dinner, the stunning table with modern metallic accents was brought to life and topped with brightly colored blooms and fresh fruit, such as figs and, of course, red grapes. 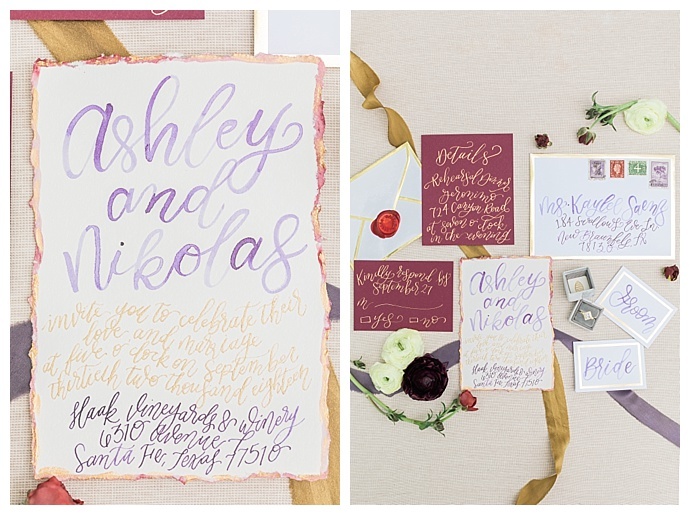 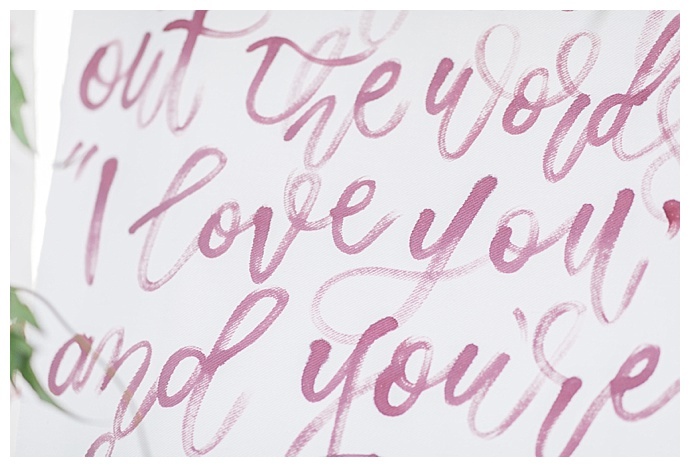 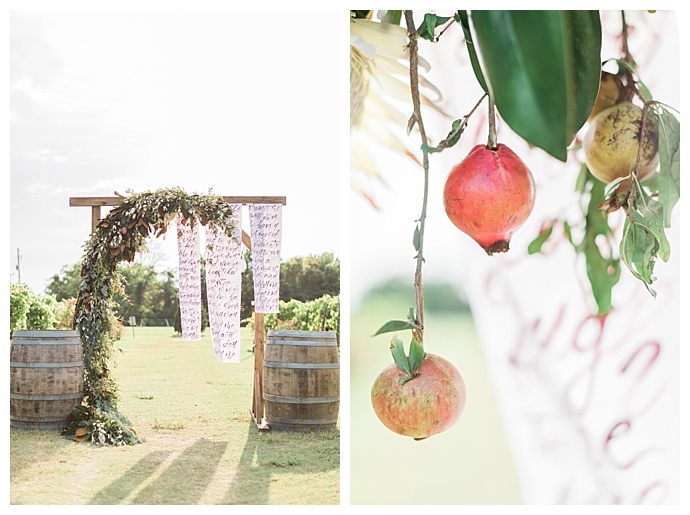 For a personalized touch, the hand lettered invitation suite mirrors the ceremony backdrop, where lush greenery crawls across a rustic arbor to meet three banners featuring love song lyrics scrawled in calligraphy. 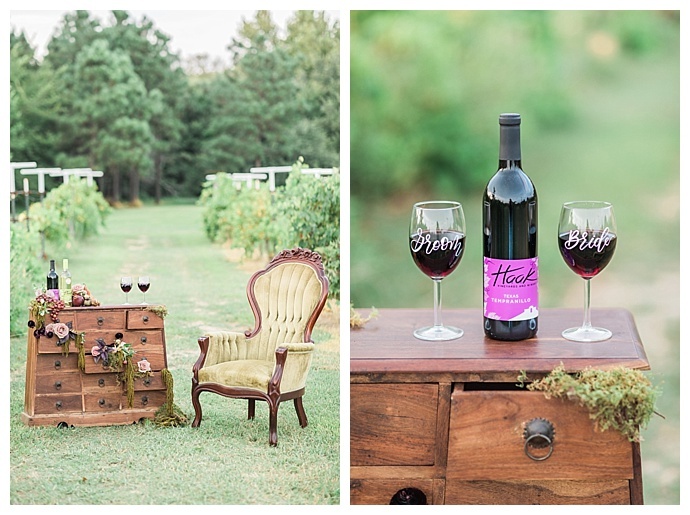 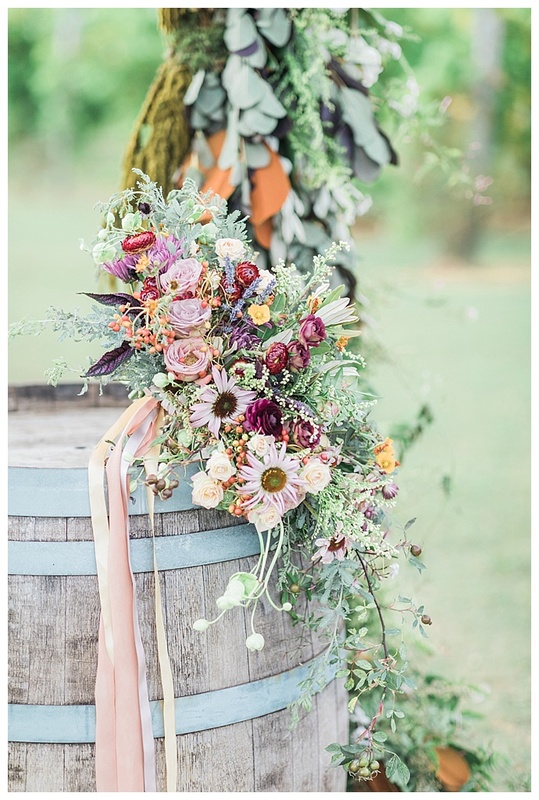 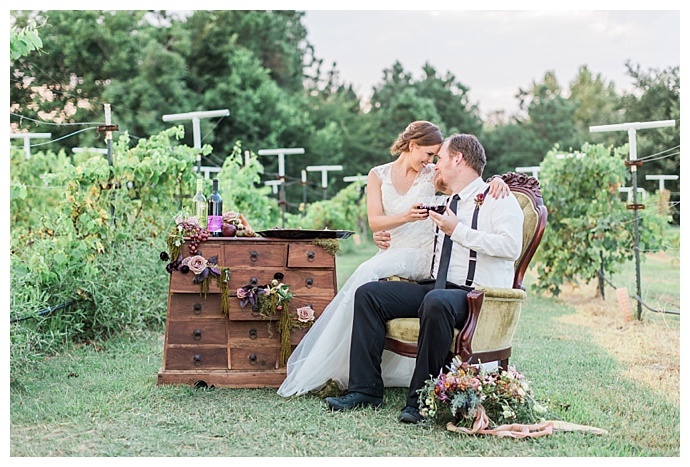 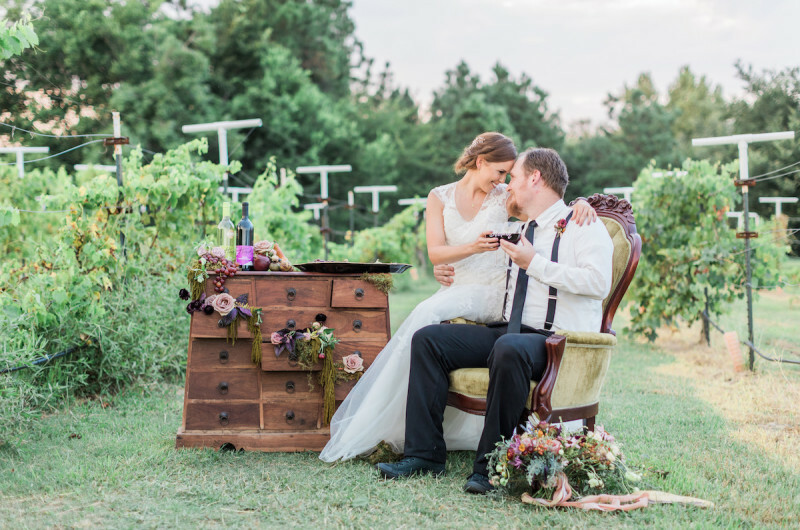 Flanked by two wine barrels, it couldn’t be a more perfect setup to say “I do.” Behind the lens, R & M Bledsoe Photography captured all the stunning elements of this styled shoot at Haak Winery, cementing why vineyards are one of our favorite places to wed.